Bill Bogash, a pioneer Roller Derby star who launched his legendary career on skates as a teenager during the Great Depression when he teamed up with his mother, has died. He was 92. Bogash, a resident of Yucca Valley, died of respiratory failure March 20 at Hi-Desert Medical Center in nearby Joshua Tree, said his wife, Georgia. "Billy Bogash was truly one of the greatest stars on the banked track," wrote Gary Powers, executive director and curator of the National Roller Derby Hall of Fame in New York City, on the hall’s website. "He shaped and guided the sport like few other skaters and was instrumental in helping make Roller Derby the sensation it became during the late '40s and '50s, when the banked-track sport was the talk of the nation." 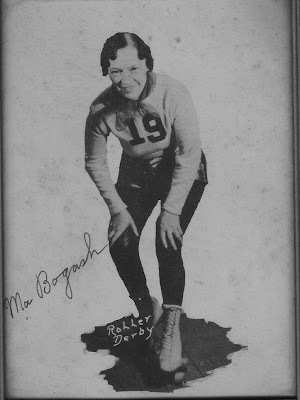 Dubbed "Mr. Roller Derby" by his fellow skaters, Bogash launched his 23-year skating career in 1935 when he was 18. The impetus came when Bogash and his mother, Josephine, attended the first Transcontinental Roller Derby race at the Chicago Coliseum in August of that year. 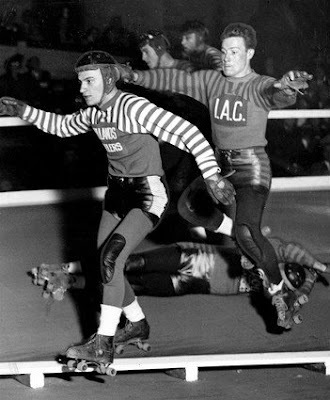 Roughly patterned after six-day bicycle races and Depression-era dance marathons and walkathons, the Transcontinental Roller Derby was the brainchild of Leo Seltzer. He was the former owner of a chain of Oregon movie theaters who staged commercial walkathons before tapping into the popularity of roller-skating. 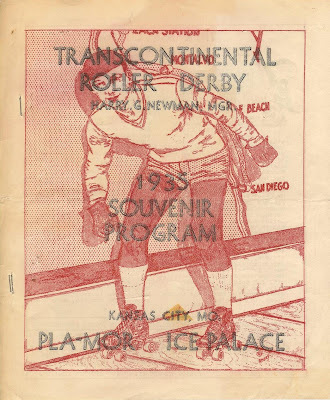 The Transcontinental Roller Derby simulated a race from one end of the country to the other: Each two-person team -- consisting of one male and one female -- skated laps around the track and covered about 100 miles a day over a period of six weeks. A large map of the United States on the wall kept track of the distance the skaters traveled each day. Bogash's mother, a diabetic who started roller-skating after her doctor told her she should exercise, tried out for the Roller Derby and was offered a job. But she told Derby officials that she wouldn't go on the road unless they also took her son. Josephine and Billy Bogash made their team debut that September, at the second Transcontinental Roller Derby race, held in Kansas City. Bill Bogash, who was born in Chicago on Nov. 22, 1916, was an ice skater when he started "but not much of a roller skater," former Roller Derby skater Mary Youpel told The Times this week. "He became one of the very best skaters we ever had," said Youpel, who joined the Roller Derby in Chicago in 1936 and skated until 1958. Youpel, who spelled her name Youpelle during her skating days, said Bogash "used his ice-skating skills to become a great skater. He skated low, with long strides; he was a very graceful skater, really." Recalling those early years, Youpel said the Roller Derby skaters traveled by bus and lived in the buildings they skated in. And Ma Bogash, as she was billed, "was kind of the mature person for the whole Derby, so she looked after the girls." "You stayed in your quarters at night, and she told you what to do and what not to do," Youpel said. "She was the mother hen, I guess you'd call her." Youpel said both Ma and Bill were "wonderful." "All of us girls would go to Ma if we had a problem, and Bill was a very quiet kind of guy, but a very jovial guy," she said. "He always had a joke or something to say and got along with everybody. Even on the track, if things would go wrong, he was there to try to calm it down." Roller Derby soon evolved from a marathon-style event with two-person teams into a competition involving two teams of five men and five women each. The men and women alternated time on the track, and reworked rules brought more crowd-pleasing physical contact among the skaters. When Roller Derby was televised in the late 1940s, Youpel said, "it became a big deal because now people that couldn't go to the games could see it at home, and we drew a lot of fans that way." In 1952, Ma Bogash became the first female skater inducted into the Roller Derby Hall of Fame. Bill Bogash was inducted a year later. "He was called 'Flash' Bogash; he was very fast and very agile," recalled Nellie Wilson, who skated in the Roller Derby from 1952 to 1964 under the name Nellie Montague. As chronicled on the hall of fame website, Bill Bogash led numerous teams around the nation during the 1940s and coached the New York Chiefs to the first Roller Derby world championship at Madison Square Garden in New York in 1949. Bogash later led the Los Angeles Braves when the Derby moved west from New York in 1954 and continued skating with the Braves over the next several years. He also was the player representative for all skaters in negotiations with Derby management. "If there was a problem with management, you went to Bill," Wilson said. After hanging up his skates in 1958, Bogash spent 24 years running Sanborn House, a Los Angeles restaurant that he had bought a few years earlier. In 1971, Bogash helped launch the Roller Derby Has Beens, a group of former skaters who met for annual reunions. "To us, he's Mr. Roller Derby; he's been around so long and involved so long," Wilson said. "Last year, when he came to the reunion, all the skaters stood up and applauded when he came through the door." Bogash, who was married three times, is survived by his wife of 50 years, Georgia; his sons, Billy Jr. and Scott; his daughter, Sharon Guccione; three grandchildren; and 10 great-grandchildren. A celebration of Bogash's life is pending.